This interactive workshop is based on the work of Joanna Macy (www.joannamacy.net) and will guide participants into a personal discovery of what we can do to restore our precious and endangered world. It is an opportunity to contact our own authentic response to environmental deterioration and find our personal compassionate actions as an antidote to numbness and paralysis. The workshop will include skills in building healthy groups, experiencing supportive community, finding sources of support to sustain us, sharing feelings, personal action planning, drumming, visioning, songs, ceremony and storytelling. Many of Macy’s exercises will be featured to help us connect with our feelings, our motivations, other people and help us to make positive change for a sustainable future. 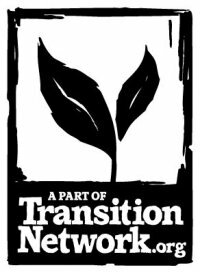 The facilitators are trained by Joanna Macy and experienced in Transition Town work. The cost of the course is £115 and includes food and accommodation. For more information see the attached flyer or go to www.ragmans.co.uk/courses or telephone 01594 860244. Be inspired, empowered and encouraged!